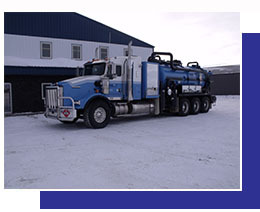 Spearing Service began in operation as Bowman and Spearing in 1956 in the Oxbow/Frobisher area of Saskatchewan when the first oil well drilling began in the area. Expansion through the years added a terminal in Carlyle, SK. Manitoba operations began in 1996 with the purchase of Koch and continued in 2003 adding the oil hauling assets of TransX. The new terminal at Pipestone, MB followed soon after. Spearing was aquired by the Mullen Group Ltd. in 2006 becoming a limited partner named Spearing Service L.P. The expansion and growth continued with additional trucking, frac service support and another Manitoba terminal at Waskada. In January 2015 Spearing Service L.P. amalgamated Brady Oilfield Services L.P. another division of the Mullen Group in operation since 1968. This addition allows service from Halbrite and Weyburn, SK as well as a sand and gravel division to add a broader range of services to our customers. The main office remains at Oxbow, SK. Spearing has grown steadily and will continue to grow with the industry providing all types of trucking and service related equipment and personnel.